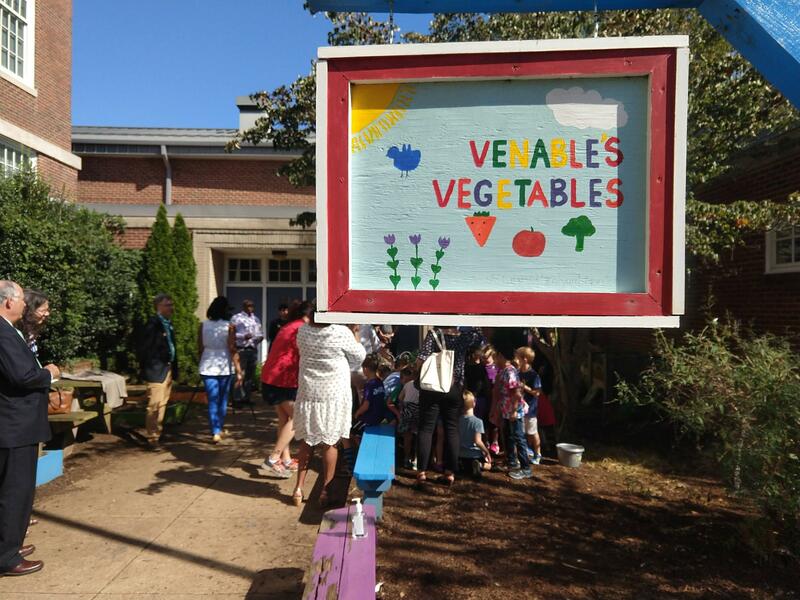 Venable Elementary School took part in the "Farm to School" week in Charlottesville, promoting healthy nutritious foods with varied meals and educational activities. 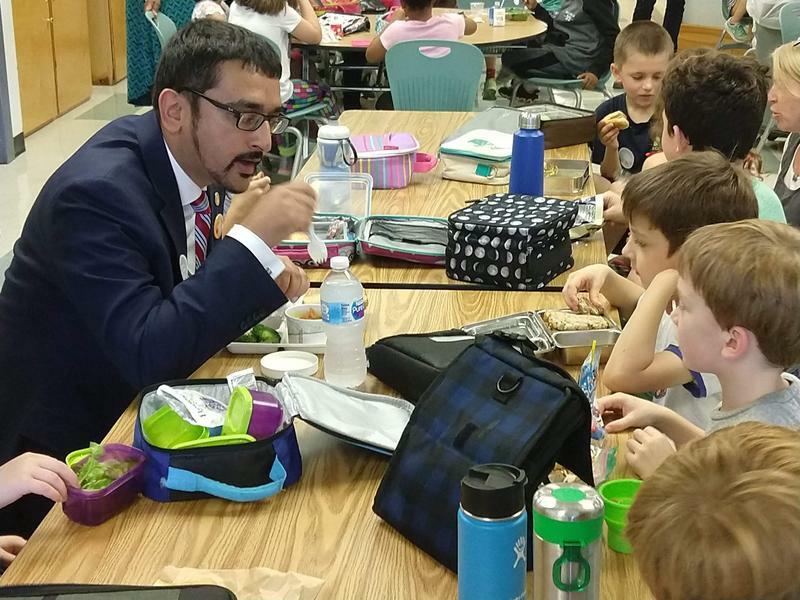 Virginia Secretary of Education Atif Qarni visited Venable School on Thursday, and had lunch with second graters to enjoy a locally-sourced meal. Every month, the Harvest of the Month is celebrated at Venable Elementary - an initiative by Schoolyard Garden in partnership with Charlottesville City Schools. This month's harvest was cherry tomatoes. The Secretary and the students also met with goats from the nearby Caromont Farm. A variety of food and garden educational activities took place throughout the week, and a special menu each day featured foods provided by local farmers. 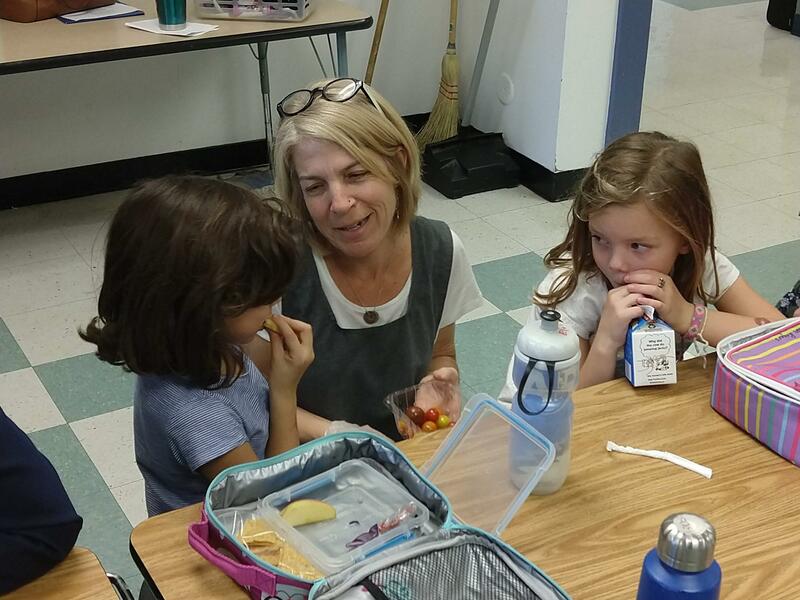 And yesterday, kids at Venable Elementary school shared their special meal with Virginia Secretary of Education Atif Qarni. ATIF QARNI: It was great to have lunch with the students. I had lunch with the second graders, talked about school nutrition and it was great to see the variety of lunches that students are having. He says talking to kids about nutrition and gardening is more than just about food. QARNI: We really should try to scale this at a state level and try to integrate this in our instruction. There's an opportunity through all of the variety of content areas where we can take Farm to School opportunities and talk about preservation and conservation of our surroundings, environmental education, school nutrition; it can be done in science classes, it could be done in English classes, where you can write about it, and reflect on your experiences. If you're talking about gardens and building gardens, there's a lot of mathematics - I've been a mathematics teacher - so I can see how students can engage and help and build gardens. There’s a lot of geometry aspects involved. I can see that there's a lot of connections that we can make with our curriculum. 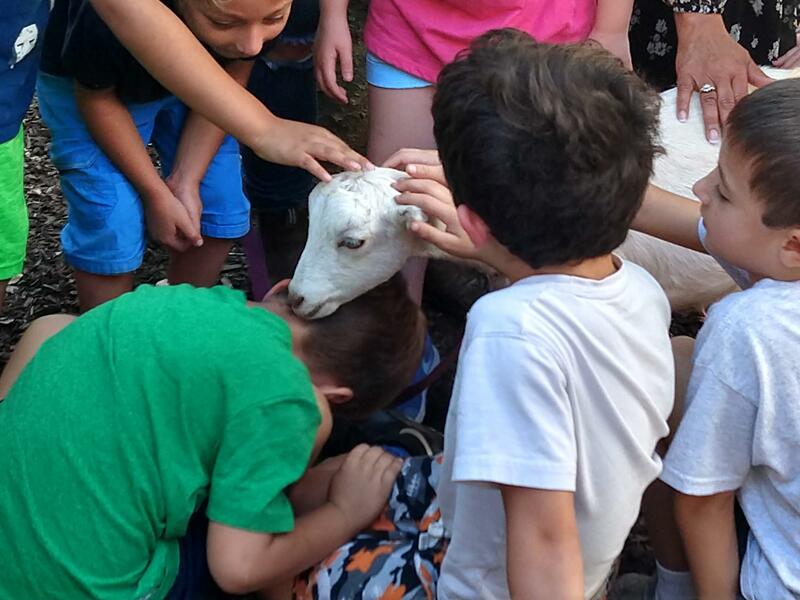 After enjoying their meal, students went outside to learn more about goat cheese and how it is made – by meeting real-life goats. CAROMONT FARM WORKER: What are some of the first things that you notice about how the goats look? CHILD: It kind of looks like one of the goats has a beard because all the hair is sticking down. CAROMONT FARM WORKER: Yeah, so they’re really furry, right? Delegate Toscano also paid the kids a quick visit. DAVID TOSCANO: This is exciting because there are so many wonderful things happening in local schools to make sure the food the kids eat is nutritious and it's locally-sourced. From what I can see the kids love the food. And they don’t always realize what’s nutritious and what’s not, and part of what’s happening here is helping recognize the good things that you can eat that actually taste good. That's a wonderful change from when I went to school where we got things out of a can and there were a lot of things that weren't the best, that we ate at the time. If you have good nutrition, it helps you learn better. Several studies over recent years have shown that better nutrition of schoolchildren leads to better performance in class. A recent paper from UC Berkeley showed that students at schools that partner with healthier school-lunch vendors perform better on state tests. Not only that: this option is also more cost-effective compared to other policy interventions like, for instance, class-size reduction. Trista Grigsby is the Farm to School specialist for the VA Department of Education, and she was there at Venable Elementary to enjoy the fruit of her labor as well. TRISTA GRIGSBY: This is really exciting. She says that over the past 4 to 5 years, local food procurement in schools has doubled, from less than 8 million dollars back then, to more than 15 million dollars now coming into schools each year. TRISTA GRIGSBY: It makes a huge difference in your local economies, especially for rural farmers. TOSCANO: And it anytime you’re transporting locally, you’re saving money on transportation and hopefully you can get good nutrition out of it as well.